Tania Bizoumi is a Consultant for the Athens Stock Exchange and a coordinator for ROOTS, a program that helps innovative SMEs access capital markets. In addition, she provides consultancy services on topics of social innovation, sustainable and ESG investing and capacity building for the Sustainable Development Goals. In the past Tania worked at the ILO in Geneva, helping coordinate regional training programs for policy makers on the Decent Work Agenda for productive employment and a fair globalization. Additionally, Tania conducted research on social policy delivery in Small Island Developing States (SIDS). She has also worked with Ashoka in the UK and Greece to support social entrepreneurs and facilitate the scale up of their initiatives through capacity building programs, helping design and implement partnerships with leading brands, non-profits and startups. Prior to that, Tania worked in strategic communications and digital media in the UK. 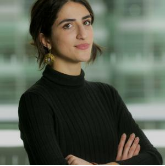 She holds an MSc in Gender, Development and Globalization from the London School of Economics where her research focused on the development of the social economy in Greece during the economic crisis, and the potential of alternative models as vehicles for sustainable development.